Resolve any issues pertaining Lost, Stolen or burnt Certificates. Is your WAEC Original Certificate missing, stolen or mistakenly got burnt in a domestic accident? Do not worry much because today I am going to put you through on what and what to do about it. Just keep reading. In Nigeria, the Original WAEC Certificate is said to be one of the most important document required of candidates seeking admission into higher institutions. Due to complaints we have been receiving from our readers via email on this topic, so we decided to clarify every individual on the Lost, Stolen or burnt Certificate. West African Examination Council has this tradition of giving out Original Certificate Once. Candidates who lost or Misplaced their Original Certificate are to report to any WAEC Office in the State he or she sat for the examination and apply for "Attestation of Results ". 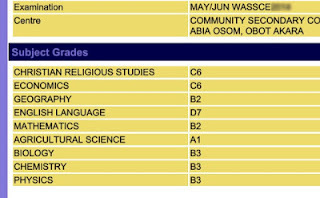 The Attestation of Result helps to prove that the indiviual registered and sat for the West African Senor School Certificate Examination [WASSCE]. This document is most times been sent to the individual respective school by WAEC to verify. With the above tips, you can now easily resolve any issues pertaining Lost, Stolen or burnt Certificate. 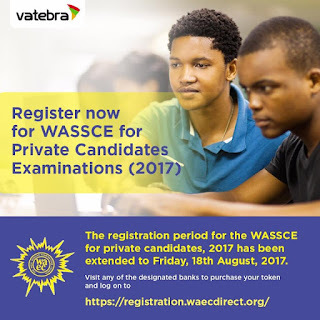 WASSCE for Private Candidates 2018 First Series Examination is scheduled to commence on Monday 29th January, 2018. Examination is expected to end on Monday 12th February, 2018. 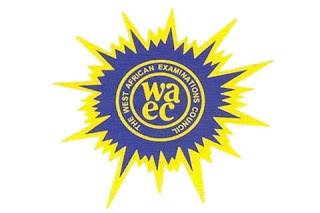 WAEC GCE 2018: The West African Examination Council (WAEC) Examination Time-Table for Jan/Feb 2018 1st series WASSCE, Private Candidates (WAEC GCE) has been published and available @ Johntechservice.com.ng blog. Please bear this in mind that the Difference In Time On Question Paper and Time-Table Where the duration indicated on the question paper differs from that on the time-table, the one on the question paper should be followed. 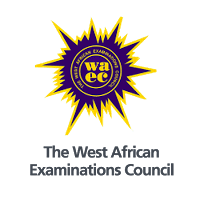 The West African Examinations Council, WAEC has announced that Papers slated for Monday, September 4, 2017 in the WASSCE for Private Candidates, 2017 timetable will hold as scheduled. 2017 WASSCE For Private Candidates registration deadline date extended to August 18th, 2017. The general public and all candidates who are yet to register for the exam should bear it in mind that the date has been extended. The Extension was to create enough room for those who are yet to register to do so. 15th August, 2017. Please inform others. How to Check West African Examination Council (WAEC) 2017 May/June Examination Results Online. 2. Provide your "WAEC Examination Number". 4. Choose your Examination Year which is 2017. 8. Finally, click “Submit” button and wait for the results window to show your 2017 WAEC Result. Note: You do not need to buy any scratch card to check your WAEC result. The result checker PIN and Serial Number are contained on the flip side of the candidates’ CIVAMPENS Card issued to all candidates by WAEC. The West Africa Senior Secondary Certificate Examination (WASSCE) has released the results of students who sat for it. The head of the Nigeria National Office of WAEC made this known at a press briefing at the Council’s office in Yaba Lagos. He mentioned that a total of 923,486 (Nine Hundred and Twenty Three Thousand Four Hundred and Eighty Six) candidates, representing 59.22%, obtained minimum of credits in five (5) subjects and above, including English Language and Mathematics. He observed that 59.22%, percent performance of candidates that obtained five (5) credits and above including English Language and Mathematics in the WASSCE for School Candidates represents an improvement to the result in 2015 and 2016 which was 38.68% and 52.97%, respectively. However, the results of 214,952 (Two Hundred and Fourteen Thousand, Nine Hundred and Fifty Two) candidates, representing 13.79% of the total candidature for the examination are being withheld for further investigation in connection with various cases of examination malpractice. He advised candidates who sat the examination to check the details of their performance on the Council’s official website within the next few hours with the result checker PIN and Serial Number which are contained on the flip side of the candidates’ CIVAMPENS Card issued to all candidates by WAEC. According to him, out of the total number of candidates that sat the examination, 1,471,151 (One Million Four Hundred and Seventy One Thousand One Hundred and Fifty One) candidates, representing 94.36% have their results fully processed and released, while 95,734 (Ninety Five Thousand Seven Hundred and Thirty Four) candidates, representing 5.64% have a few of their subjects still being processed due to errors traceable to the candidates in the course of registration or writing the examination. Candidates can check their results via WAEC Website: http://www.waecdirect.org. The 2017 WAEC result shows 59.22% success rate. This time it is recorded that there is massive improvement in Nigerian educational system from the overall review. 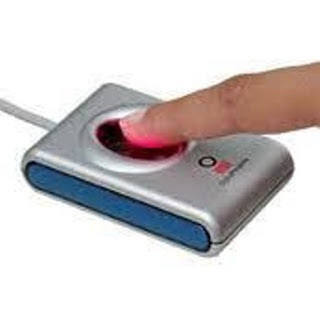 Download The correct WAEC Biometric Fingerprint Registration software here on johntechservice blog. The biometric finger print software is a suite of applications required for candidates to successfully enrol their fingerprints for the Nov/Dec WASSCE registration exercise. Click here Download Biometric Data Capture Installation User Guide. Microsoft .Net Framework 4.5 should be installed first before installing the RTE. If you have an older version of digital persona RTE, kindly uninstall and re-install the downloaded version. After installing RTE, kindly go ahead and install the Biometric Client application. Only digital persona scanners are allowed. Pentium 1 GHz or higher with 512 MB RAM or more. 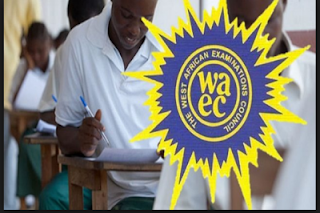 The West African Examinations Council (WAEC) now allows three sittings in one year. 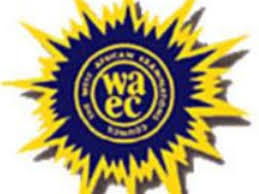 WAEC on Thursday said it had approved the commencement of an additional diet in its examination for the private candidates every year. “WAEC conducts its West African Senior School Certificate Examination (WASSCE) twice every year, in May/June for school candidates and in November/December for private candidates. 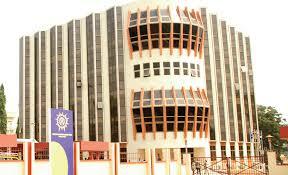 “The council also conducts various national examinations in the member countries except Nigeria. examination usually have the opportunity of doing so with the private candidates’ examination. agitation, criticisms and appeal across the sub-region for the council to ameliorate the agony of long waiting experience by private candidates who desire another attempt at WASSCE,’’ he said. examination could begin in February/March of 2018.